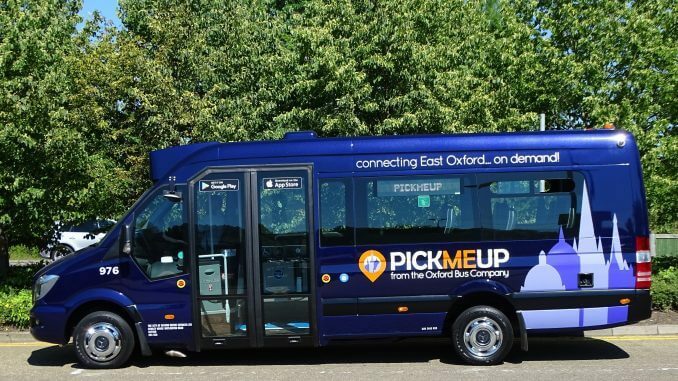 G0-Ahead Group’s brand new ride-sharing service, branded PickMeUp, began operating in Oxford on Monday, 25 June. 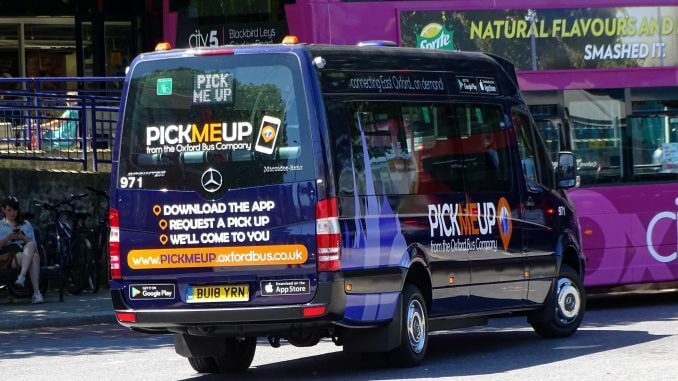 As announced in CBW1342, the service is being marketed as the UK’s ‘most ambitious’ ridesharing service yet. 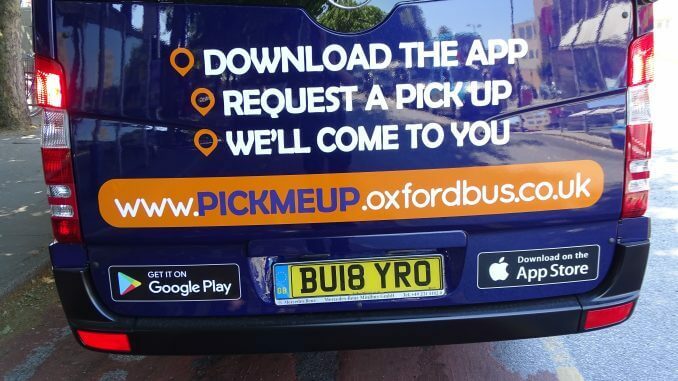 Passengers are able to request a pick-up through a new mobile app, which will then arrive in minutes. 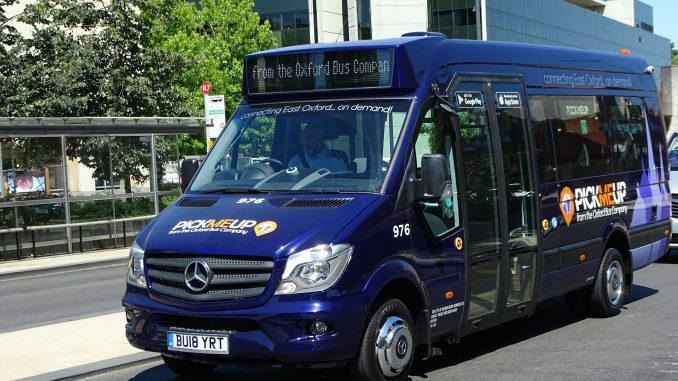 Currently, the service is being operated within a 12 square mile area of the city by the Oxford Bus Company on behalf of Go-Ahead, using a fleet of 17-seater Mercedes-Benz Sprinters. 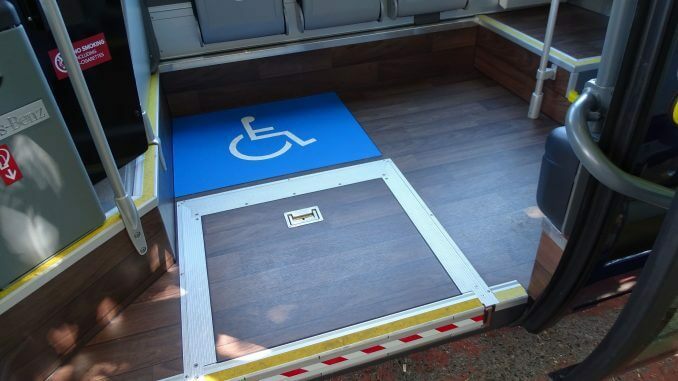 Each vehicle comes equipped with free WiFi, USB charging points and high-back seating, and all are wheelchair accessible. 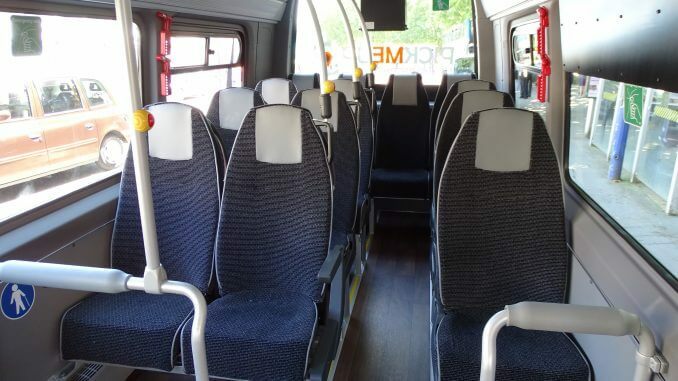 The service runs between 0630 and 2230hrs on weekdays, and 0900 to 2000hrs at the weekend. Richard Sharman was there on the service’s first day, and was able to take these photographs of the vehicles in action. 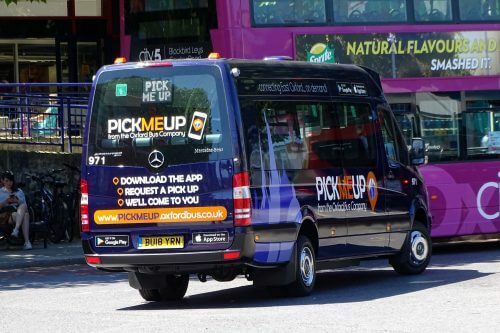 Full coverage of the new service will appear in next week’s issue, with subscribers on Wednesday 4 July, in WHSmith on 5 July and online on 3 July.